Million Air CEO Roger Woolsey discusses the expansion of his company’s KHPN facility and what it means for Westchester county. In May 2016, the Westchester County Board of Legislators approved a 30-year lease with Million Air, a fixed-base operator (FBO) that provides charter, management, and sales services out of Westchester County Airport (HPN). Once completed, the project will include a 20,000 sq. ft. terminal and 50,000 sq. ft. hangar devoted exclusively to corporate and private flights. The state-of-the-art terminal will include conference rooms, a gated entrance, a coffee stand, and even a golf simulator. 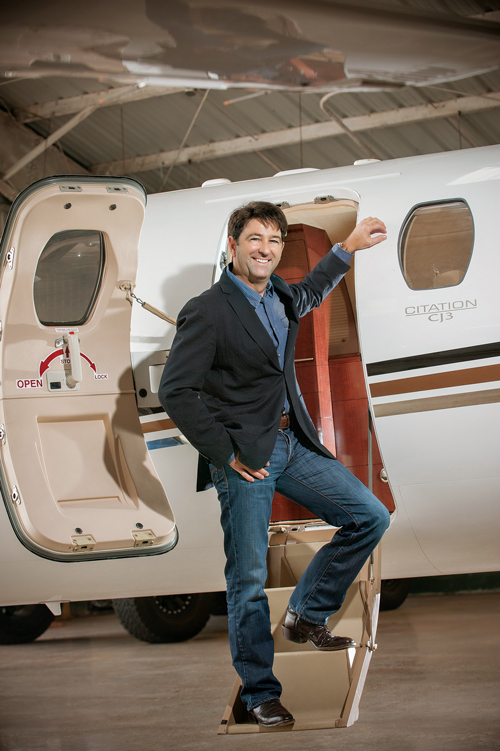 Below, Million Air CEO Roger Woolsey discusses the project in greater detail. Million Air has a presence in four continents. Why was Westchester County Airport chosen as the site of one of its latest projects? Westchester County Airport is home to and serves many of the county’s most influential and community-contributing citizens and corporations. The airport infrastructure that services these clients, and the community as a whole, is underdeveloped and in need of updating and improvements. The fact that Westchester County Airport is one of the nation’s top corporate airports, and our desire and ability to operate a world-class business-aviation center, created the perfect opportunity for us and Westchester. Can you explain Million Air’s role in the expansion at HPN? 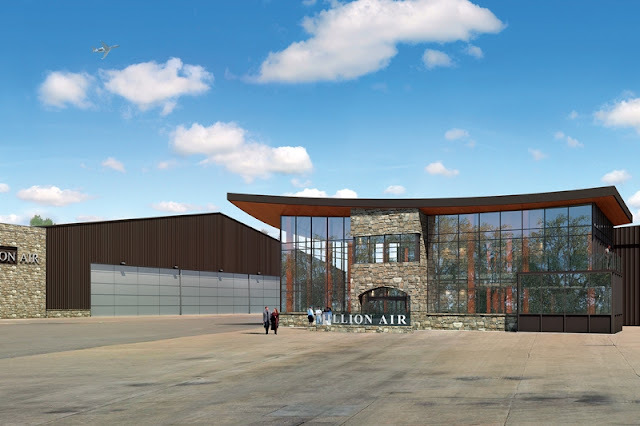 Million Air is converting an aviation-services lease into a true welcome center at the airport. We believe our product is far more than simply selling gas from an airport building: It’s to design and build a facility that delivers a first impression that promotes Westchester on the world stage. A mile of concrete takes a car one mile, but a mile of runway opens up the world. We have very important companies and visitors who fly into Westchester daily, and we want those guests to fall in love with our community from the moment they land. We also need to help our local businesses uphold our community’s reputation by providing their “home base of operations” with a strong first impression. The construction will be elegant and quaint, the staff handpicked, and it will exude the best of the best in customer service. In October 2016, you broke ground on an $88 million lodge-style hangar and terminal facility at HPN. What’s the status of that? The new hangar was completed in February and is open for business. The new lodge-style FBO is scheduled for completion by December. Whom will the new facility cater to? Several audiences: the local business owners who own and utilize the efficiencies only private aviation can provide and corporate travelers who visit Westchester for business. What does this project mean for your company, for private aviation companies, and for users in Westchester? The goal is to build the finest FBO in the US, one that will uphold the reputation and stature that Westchester was built on. The facility design promotes the local architecture, while the services will rival a five-star resort. Local users will have a home for their aviation assets and flight departments that is second to none. These departments create jobs and support local business to compete and flourish in the global economy, which strengthens the local economy. What kind of response did Million Air receive from the county regarding these plans? Most everyone has been very enthusiastic. We worked hard to educate those who did not understand our business model and how we would reduce environmental concerns, but once we were able to show the facts, we’ve had near-unanimous support. How will Million Air impact the airport’s overall environmental footprint? We are actually improving the environmental footprint through several strategies. Some involve de-icing, building materials, and air-traffic reductions. We are very excited to be part of a permanent and material contributor to improving the environmental footprint for Westchester County.